This year we had over 85 students playing for their school for varies titles. Schools attended as far as Whakatane and Rotorua and big numbers from Tauranga region. Division one being the competitive grade top dog tennis ranking -some exciting and amazing tennis played today. Niklas Huth Tauranga Boys and Hannah Walpole winning the main titles 2019. 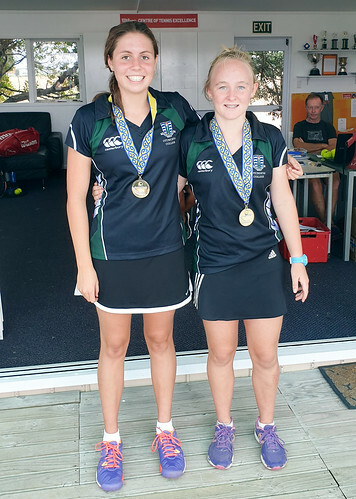 Otumoetai College taking out the boys and girls top division in division 1.Division 2 doubles and singles went to Tauranga Girls Whakatane and Western Heights well done to all schools that participated in the first event of the year. Overall, a fantastic day with a lot of forehand and back hand smashes and some very long rallies. Thank you to Papamoa Tennis Club fantastic venue. Thank you to Peter O’Dea and Jody from wbop tennis.